Timeline of the Sukkah project. 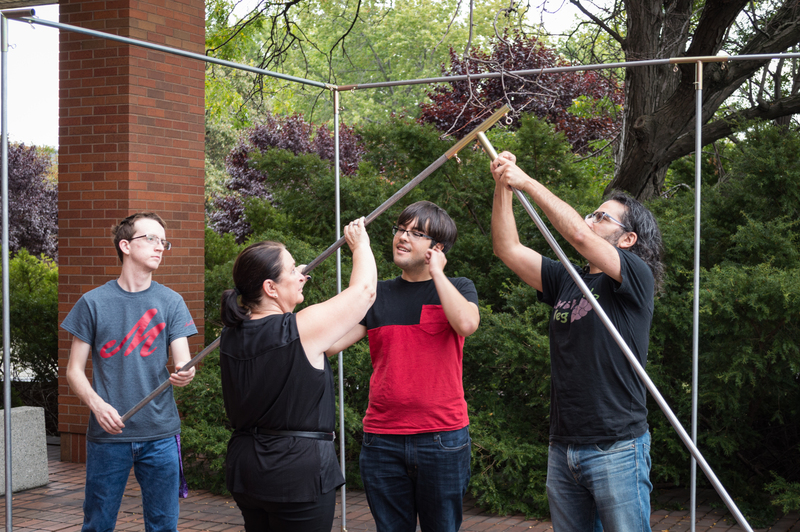 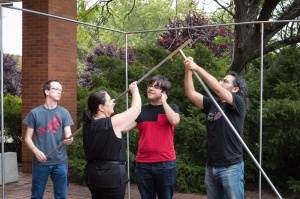 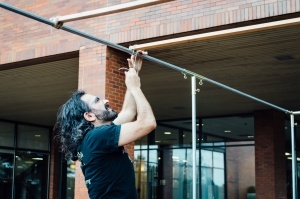 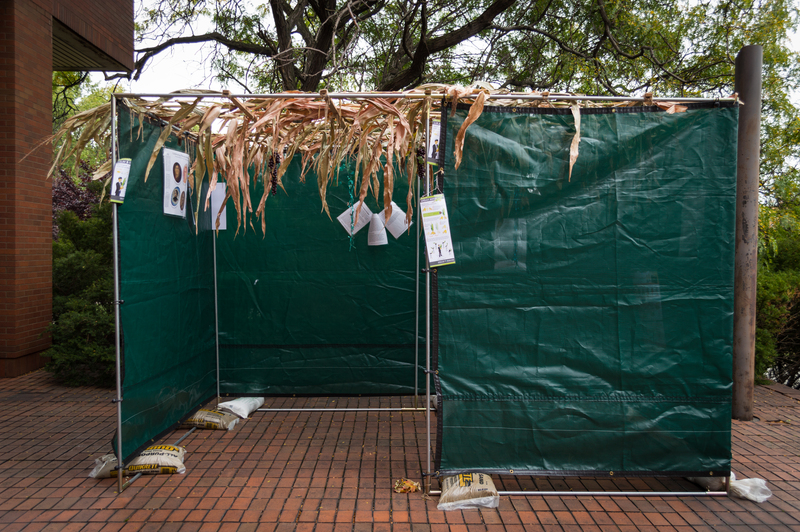 To celebrate the Jewish holiday, Sukkot, The Center for Judaic and Holocaust Studies and the Jewish Student Organization built a Sukkah outside DeBartolo Hall on October 4. 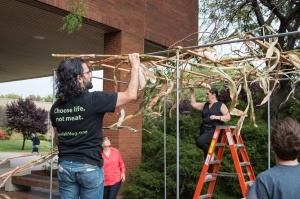 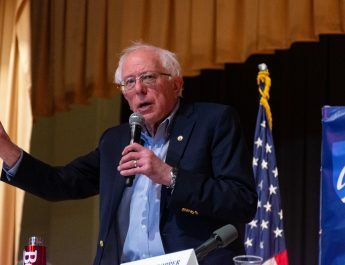 Director of the Center for Judaic and Holocaust Studies at Youngstown State University, Jacob Labendz, said a Sukkah is where Jewish families would traditionally eat their meals and spend time with each other during Sukkot. 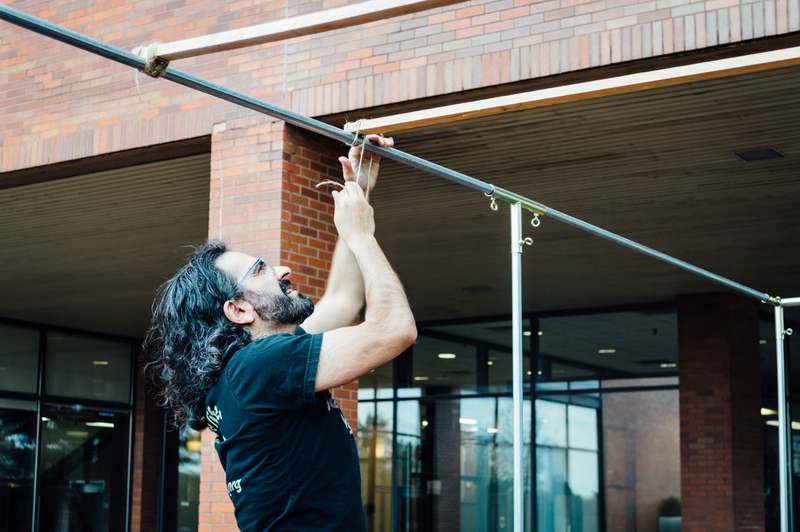 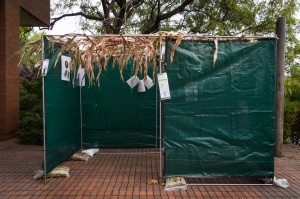 The Sukkah will remain outside DeBartolo Hall for one week.